The startup business wanted to create a digital presence that established them as a professional brand that was ready to undertake consultation with bricks and mortar retailers as well as online merchants. They were keen to clearly outline their service offering, industry credentials and an easy to understand explanation of how their process flows. Along with the essential privacy and terms of service information, they also needed a streamlined way for potential clients to contact them for more information. The goal of the website was to provide enough trustworthy information about Scalene’s services for potential clients to recognise them as a good fit for their business and make contact for a consultation. The website needed to be professional-looking, informative without overdoing written text and supported by good-quality and relevant imagery. 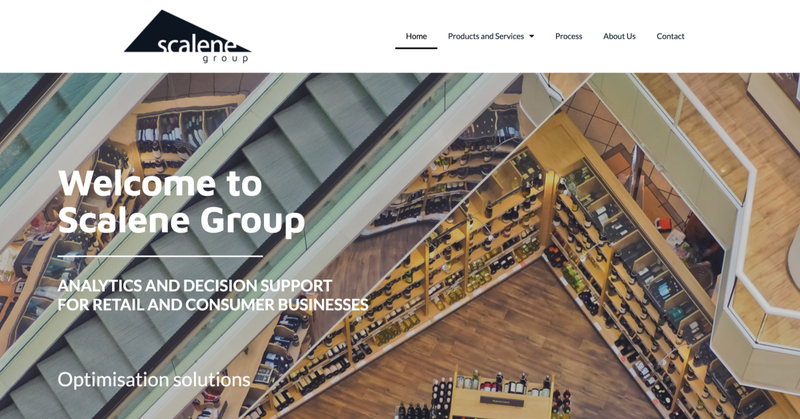 The website solution delivered is now helping Scalene Group establish themselves in their industry, capture client leads and move them through their process towards successful partnerships with retailers and online sales organisations. Visit the Scalene Group site.